The lecture was given by Dr. Karin Michels, the director of the Institute for Prevention and Tumor Epidemiology at the University of Freiburg and a professor at the Harvard T.H. Chan School of Public Health. 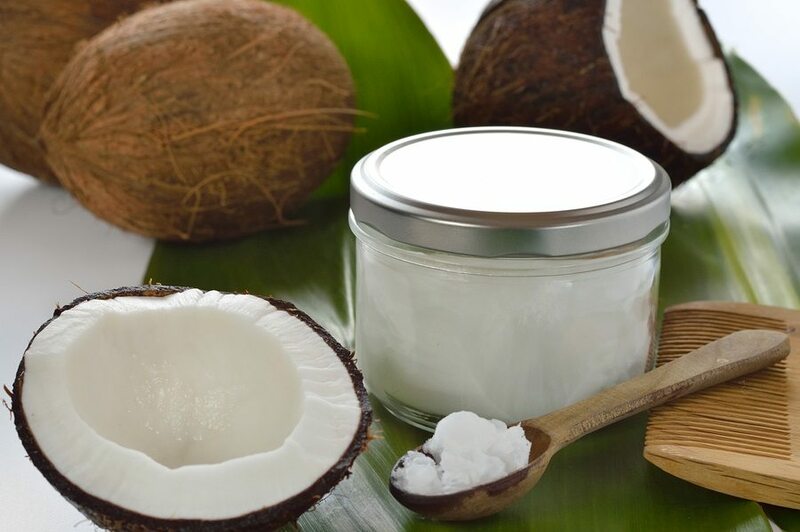 While coconut oil has only become popular in the U.S. again in recent years, it is a traditional food that has been consumed in tropical climates where coconuts grow for many thousands of years. 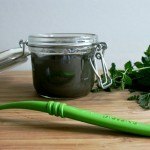 Is it reasonable to think that all these billions of people have been poisoning themselves due to their consumption of coconut oil for the past several thousand years? If it were truly a poison leading to heart disease and bad health, wouldn’t we be seeing an increase in many health problems among the millions of Americans who now use it as their primary dietary oil? Is there any evidence at all for any of Dr. Michels claims? The only reason her comments and lecture are going viral today, and being promoted by the corporate media, is because of her “credentials.” In the field of logic this is called a fallacy of “appeal to authority,” as we are just supposed to accept her word on it without any evidence. What Dr. Michels uses to explain her position is a failed theory of heart disease called the “lipid theory of heart disease” which condemns saturated fat as something terrible that is to be avoided at all costs. Using this theory, which has been thoroughly debunked by actual science, coconut oil then is condemned as guilty by association, since it has the highest amount of saturated fat than any other dietary oil. 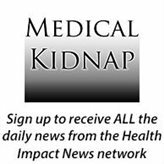 The real reason coconut oil is being attacked in the corporate media by the medical system, is because it is a threat to their toxic drugs. 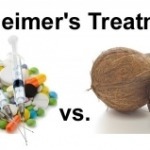 Because outside of the U.S., the peer reviewed literature is publishing more and more studies showing just how healthy coconut oil really is, and how it is being used in nutritional protocols to help cure many diseases such as dementia and Alzheimer’s disease. 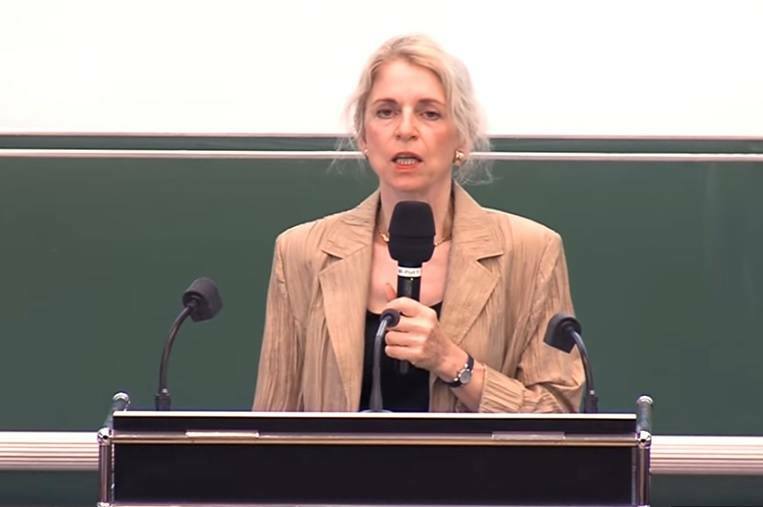 Dr. Karin Michels. Image from YouTube. Since Dr. Michels lecture is entirely in German, I am dependent upon English news translations of what she said. 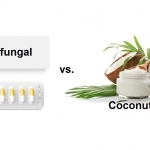 Based on those reports, Dr. Michels does not reveal anything new, and just continues to propagate the same myths about coconut oil that the pharmaceutical industry and its sponsor, the U.S. government, specifically the USDA and FDA, wants you to believe. So let’s review these myths. This is the basic premise for condemning coconut oil. 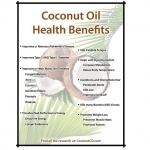 If this premise is false, then everything else they claim about coconut oil fails. This is called the lipid theory of heart disease which has been thoroughly proven to be false by actual science. It is the theory that is used to prescribe cholesterol-lowering statin drugs, the most profitable pharmaceutical products in the history of modern medicine. 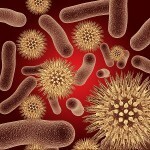 But the truth is that our bodies need cholesterol, and without cholesterol we would all quickly die. 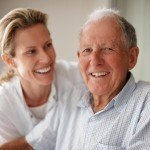 25% of our body’s cholesterol is in our brains, and there is strong evidence that artificially lowering cholesterol via drugs is a leading contributor to neurological diseases later in life, such as dementia and Alzheimer’s disease. 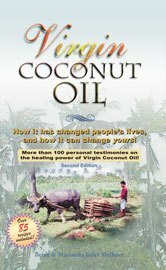 The corporate media would like everyone to believe that only the ignorant public promotes coconut oil, while all medical professionals know better and would never recommend it, because of its high saturated fat content. However, this is far from the truth. 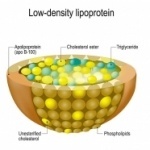 Many medical doctors, at risk to their own careers, have come forward to challenge the lipid theory of heart disease. Learn more about saturated fats here. This claim is completely without merit. It is usually made with a qualifier: There are no reliable studies backing coconut oil’s health claims. Again, using an appeal to authority, the medical industrial complex decides which studies are reliable and which ones are not. 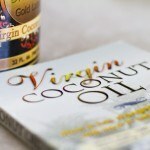 There are many very good studies looking at coconut oil, and its constituents (the various medium chain fatty acids), in the peer-reviewed literature. Most of it is published outside of the United States. 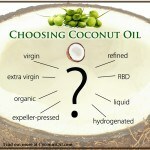 You can find many of them here at CoconutOil.com. 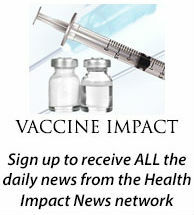 We have been publishing links to these studies since 2001. 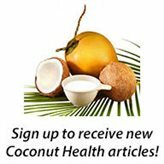 In addition to studies specific to coconut oil, almost every day studies are being published about the health benefits of the ketogenic diet, a high-fat, low-carbohydrate diet that was originally developed to treat drug-resistant epilepsy among children in the 1920s. The diet fell out of favor among medical professionals in the 1970s when the USDA started condemning saturated fats, but it is seeing a resurgence in modern times as it is being used for more than just treating epilepsy today. It is a traditional food that has been consumed in tropical diets for thousands of years. 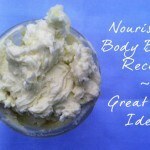 Coconut oil and other natural saturated fats such as butter, beef tallow, lard, etc. were all a major part of the American food chain as well, prior to World War II. Since coconuts do not grow much in the U.S., coconut oil has always been an imported food, primarily from the Philippines. 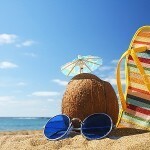 During World War II, the Japanese cut off the shipping supplies making coconut oil mostly unavailable in the U.S. The technology developed during and after WWII allowed us to extract oil for the first time from certain crops that prior to that time were never used to extract oil. Expeller-pressed seed technology, for the first time, allowed us to extract oil from corn and soy, two popular American crops heavily subsidized by taxpayers. But these polyunsaturated oils were not shelf stable, and to make them behave similar to saturated fats they had to be hydrogenated, which in turn produced “trans-fats” which today are known to be highly toxic. 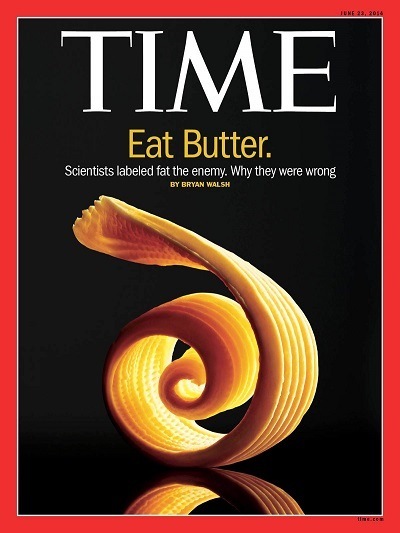 There has been a general movement back towards the more natural saturated fats, as can be seen by the increased demand by the public for real butter as opposed to factory-produced toxic margarines. What’s Next? A Total Ban on Coconut Oil? 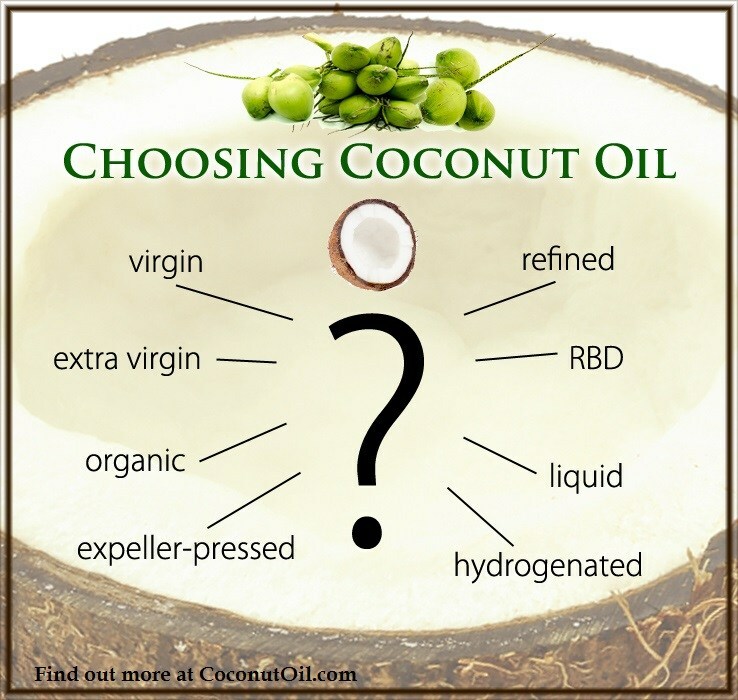 The fact that the medical system and the U.S. government diet police (USDA and FDA) are very upset that Americans are eating more coconut oil is very obvious. They are trying hard to sway public opinion, using the corporate-sponsored “mainstream” media. 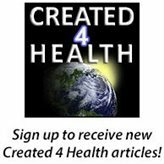 Last year (2017) the American Heart Association issued a “Presidential Advisory” on “Dietary Fats and Cardiovascular Disease” in which it condemned coconut oil, and recommended that people not consume it. As we examined these lawsuits, we noticed something interesting about the lawsuit against Costco. 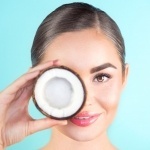 It seems obvious that these media campaigns against coconut oil are unsuccessful, mainly because a majority of the population no longer trusts the corporate media, and finds their information elsewhere. This begs the question: If they are losing the war on controlling the public’s opinion on coconut oil, what’s next? 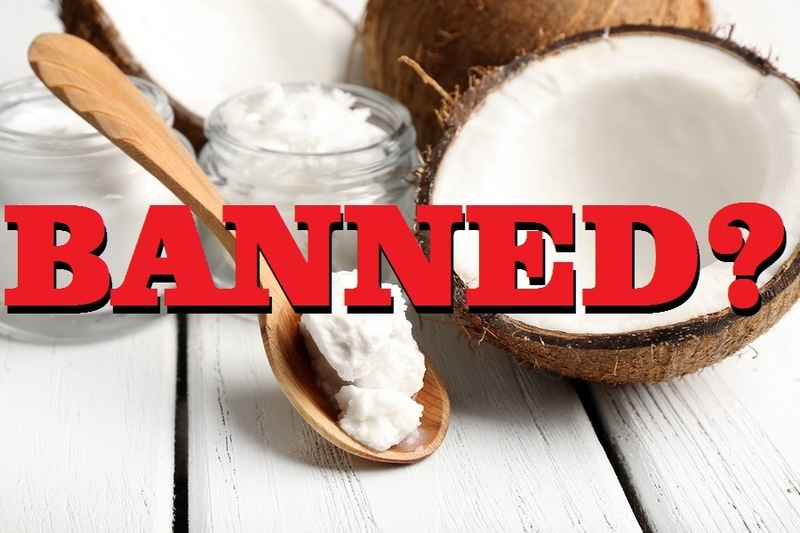 A total ban on coconut oil?